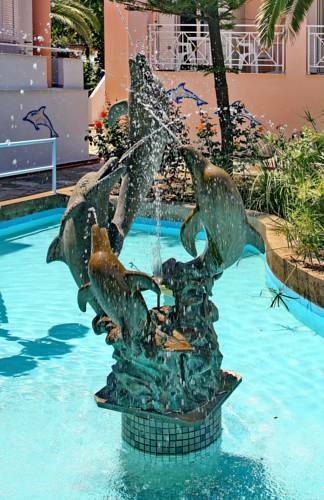 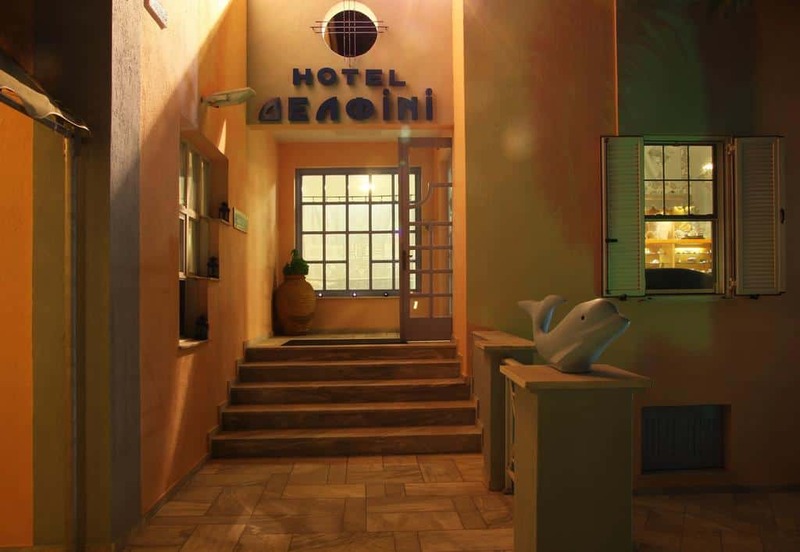 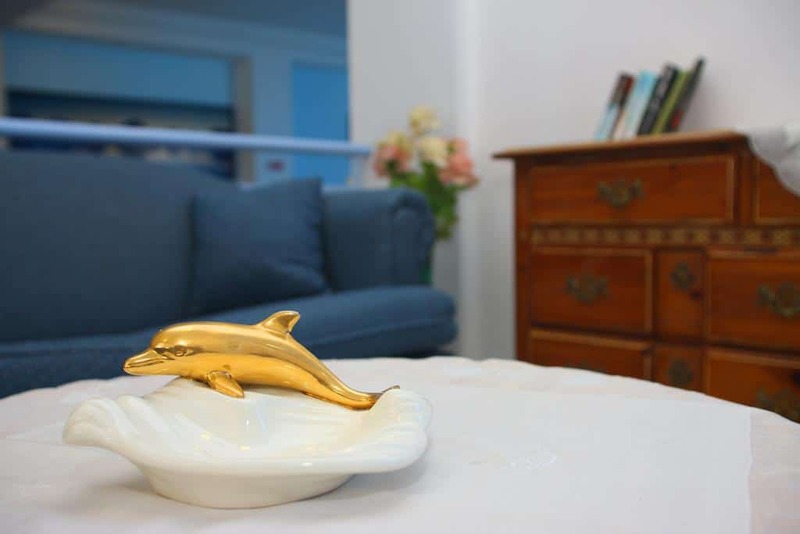 Dolphin hotel is just a minute’s walk from the beach. 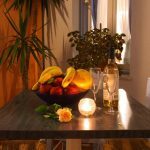 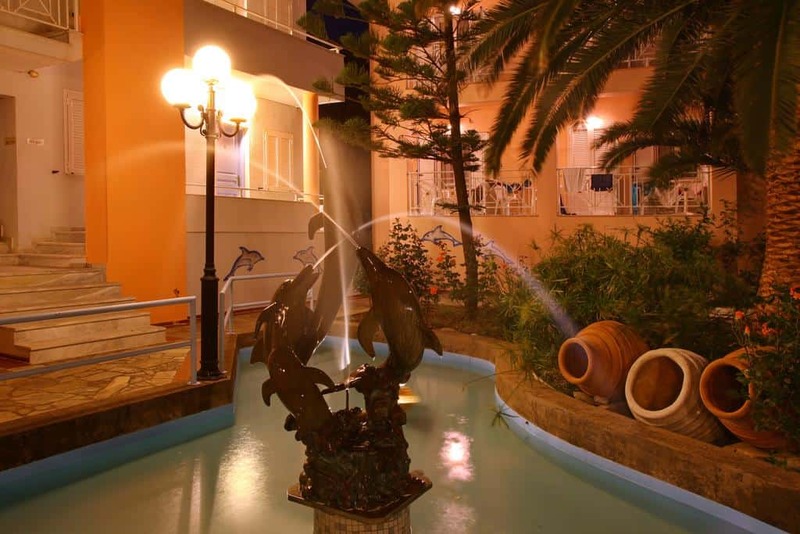 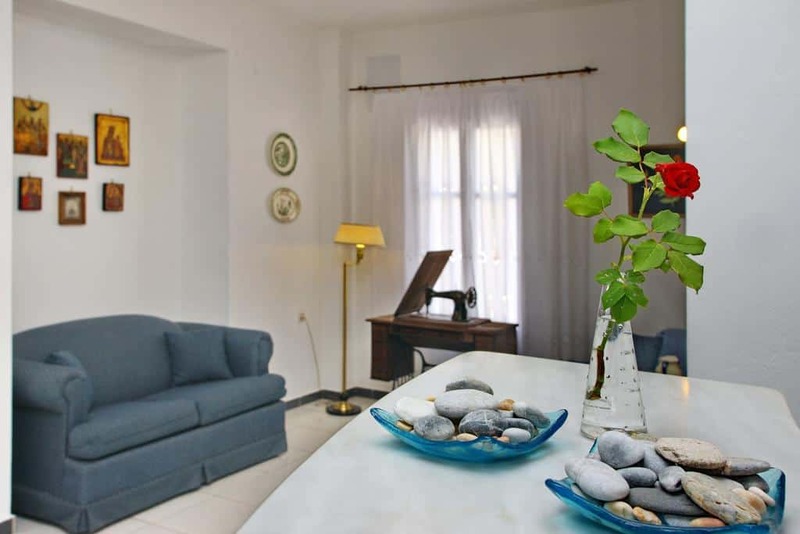 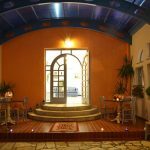 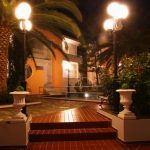 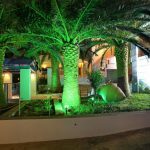 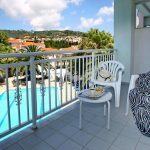 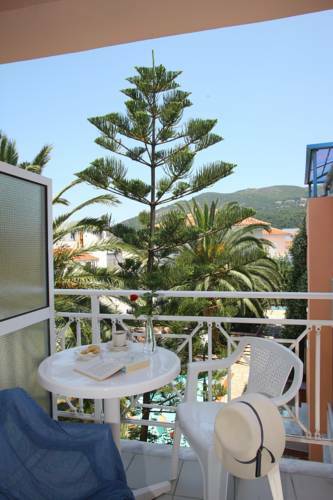 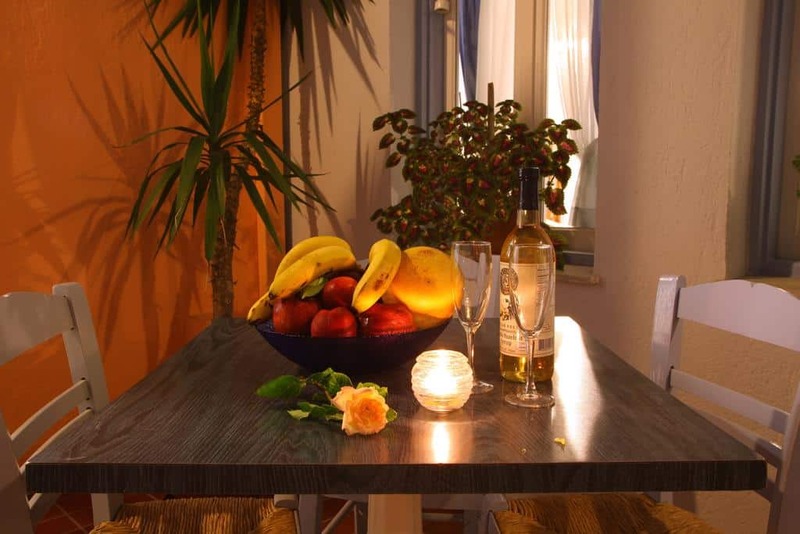 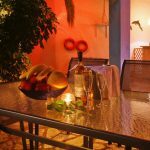 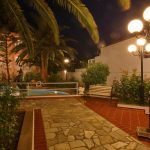 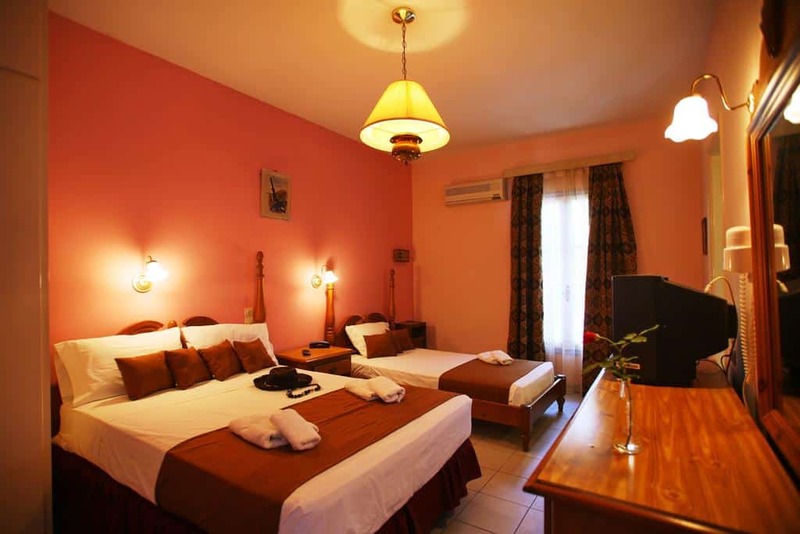 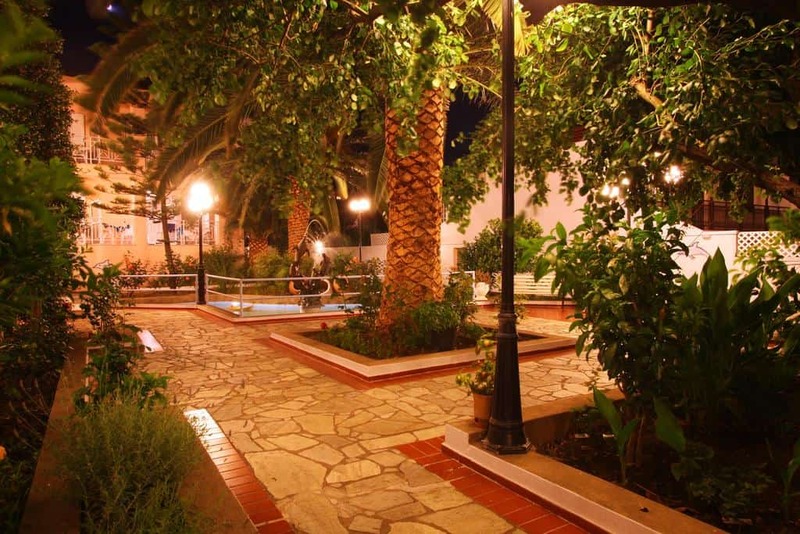 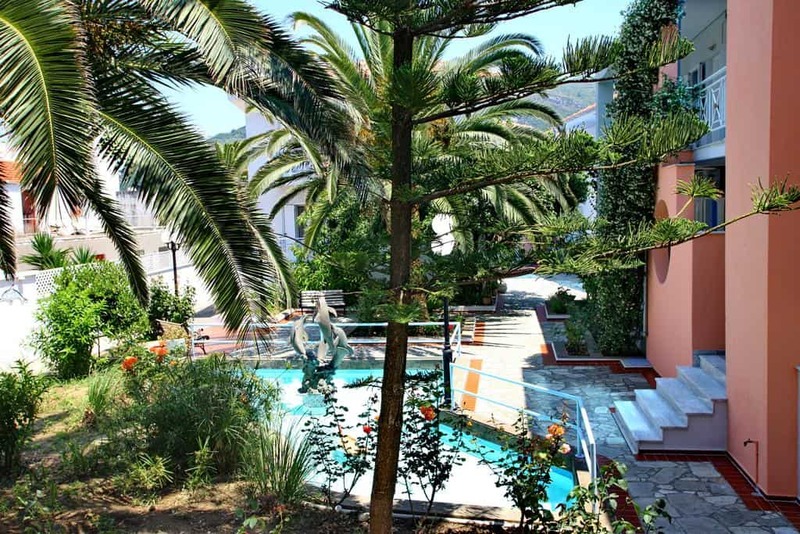 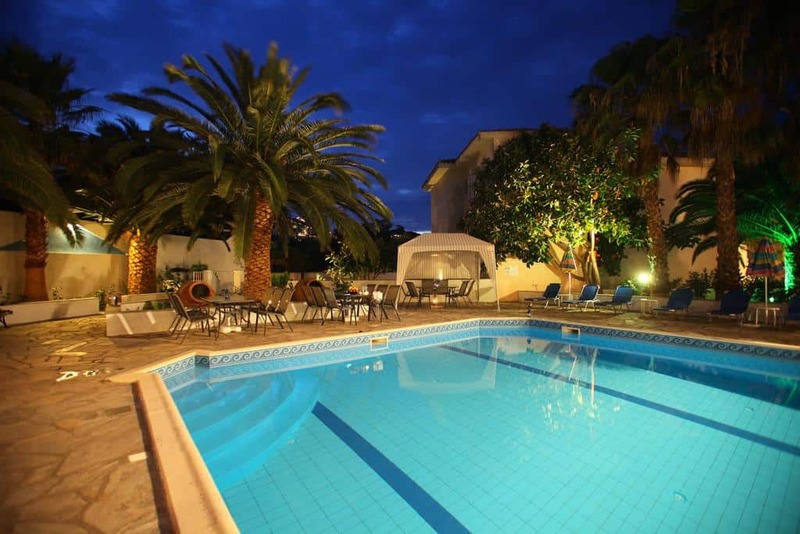 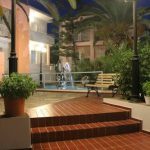 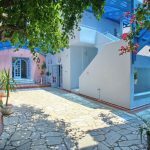 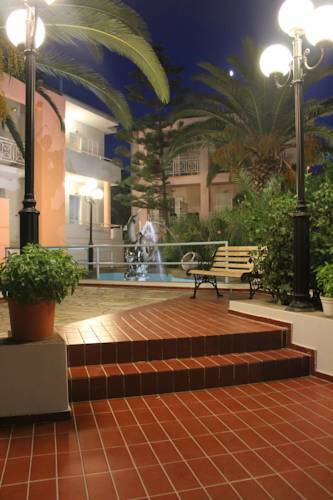 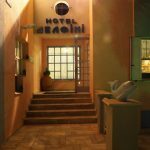 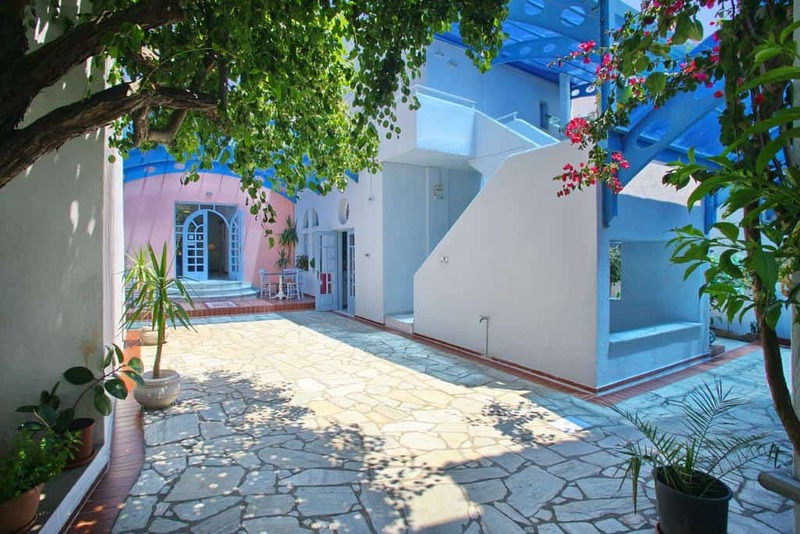 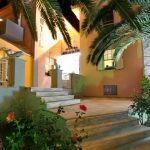 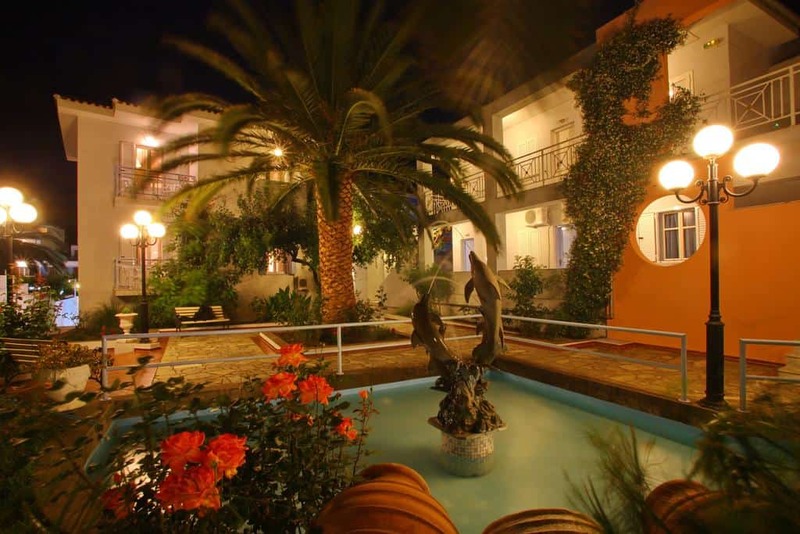 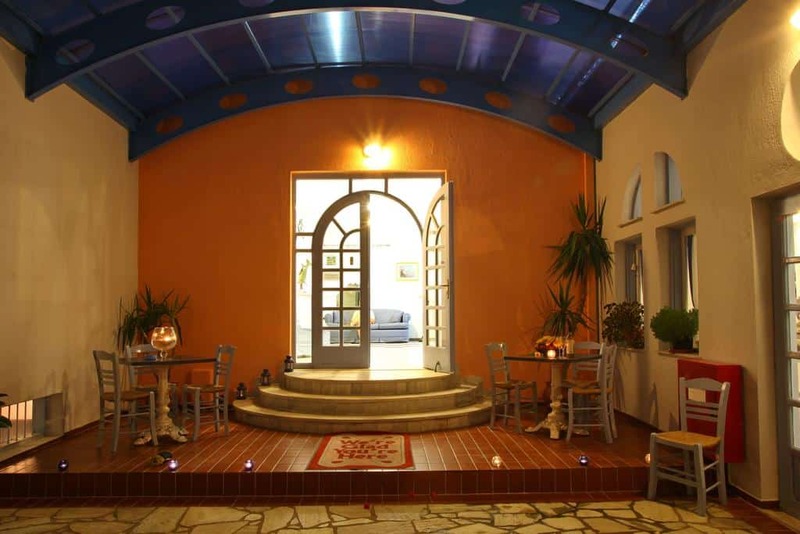 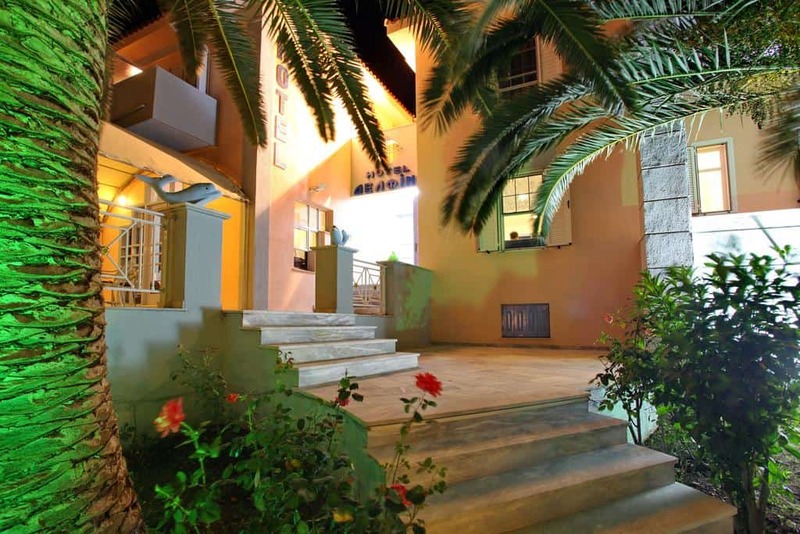 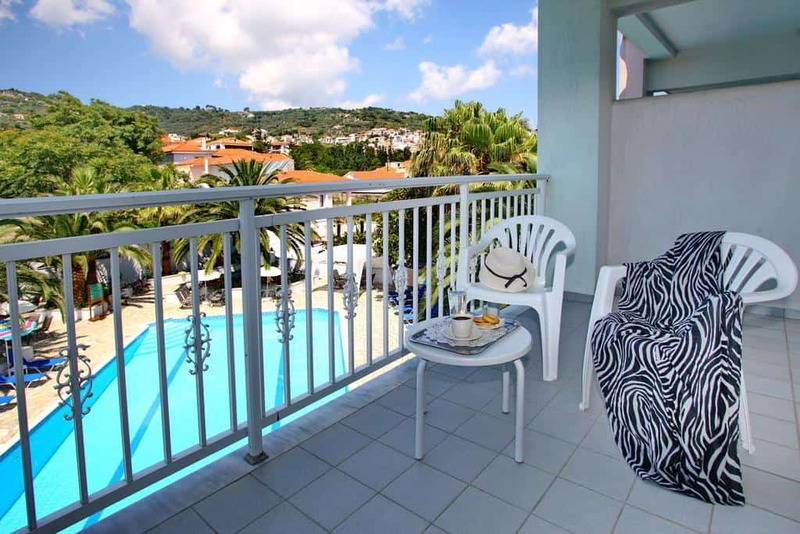 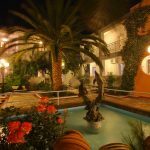 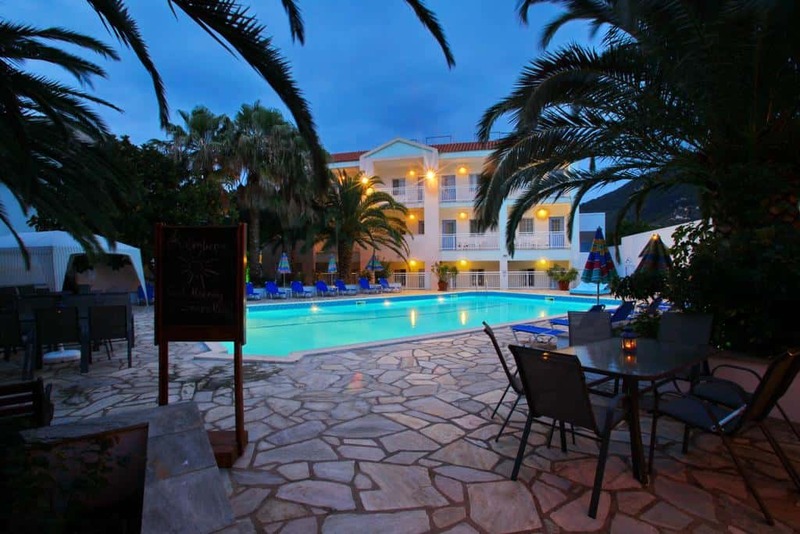 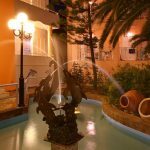 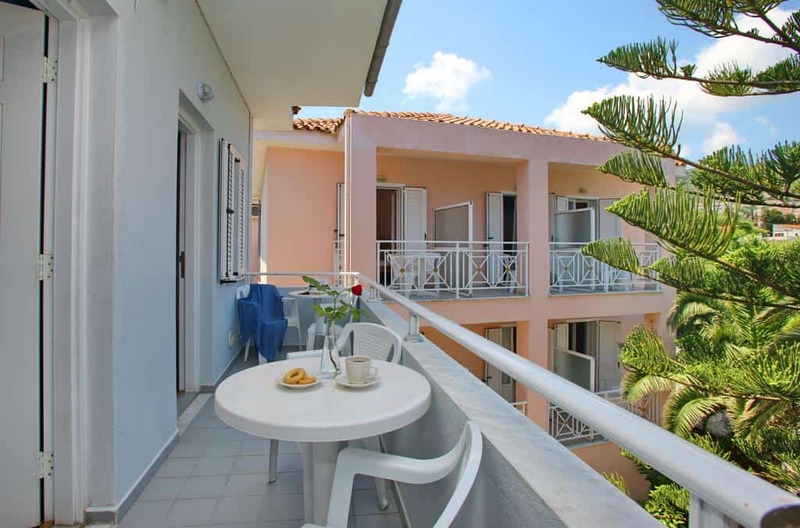 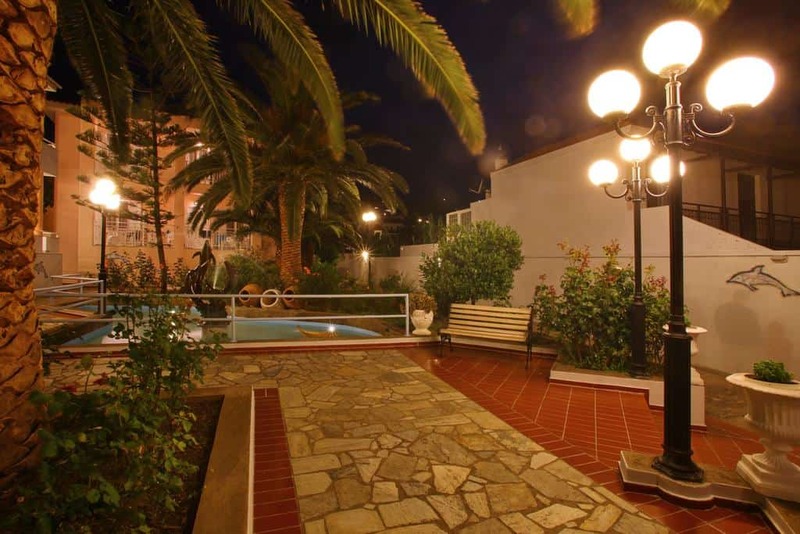 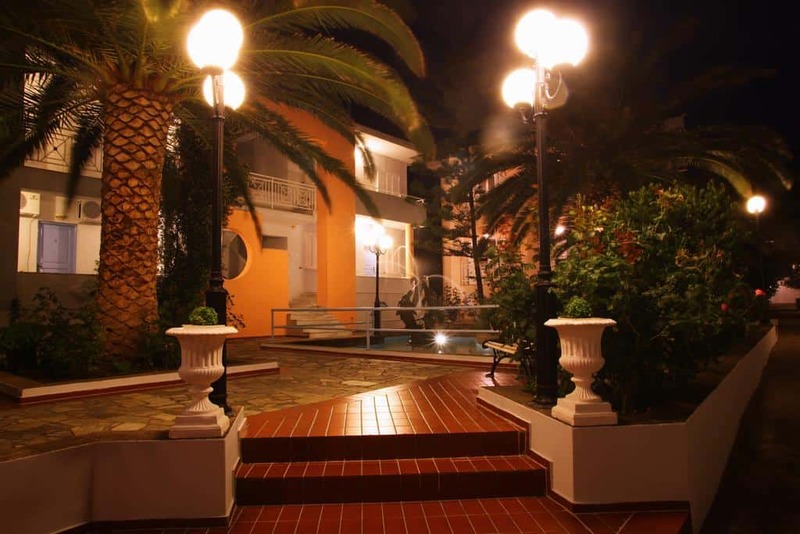 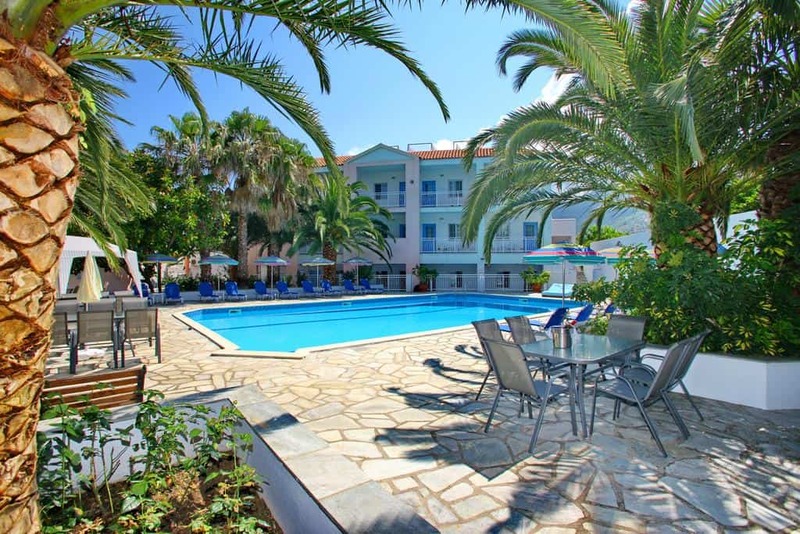 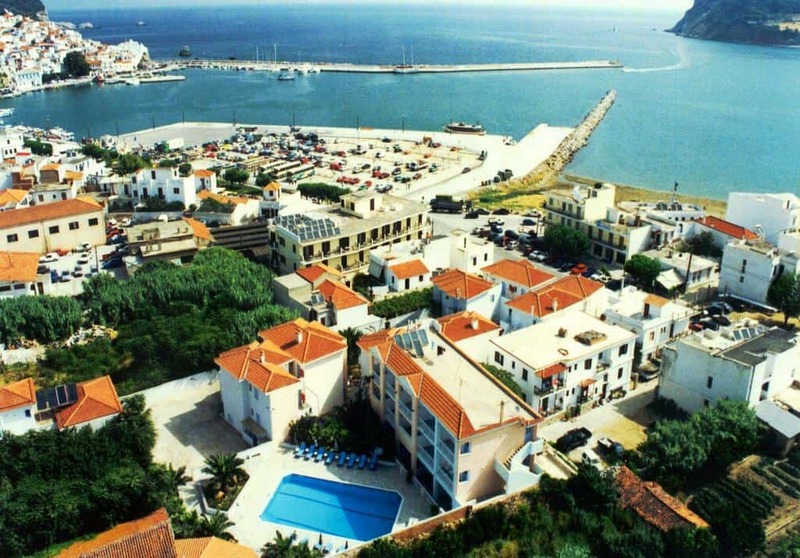 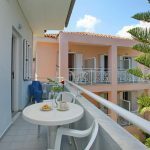 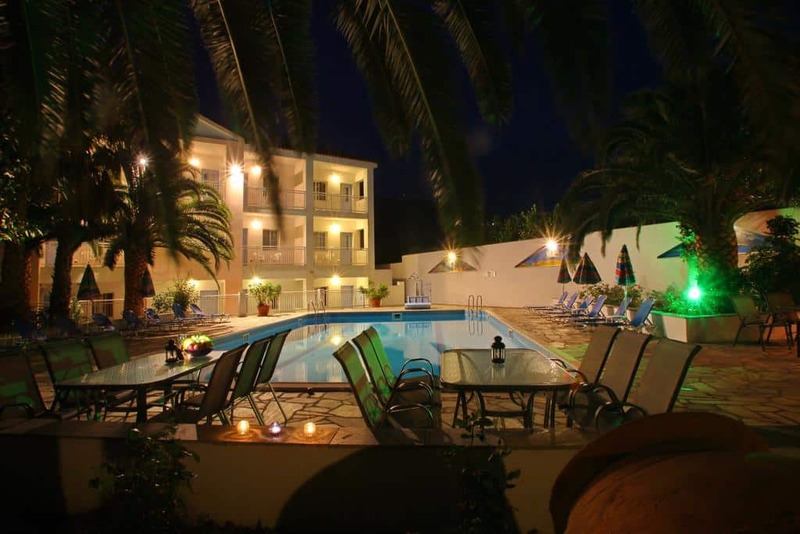 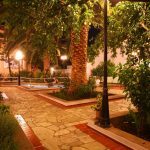 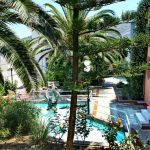 The Hotel Delfini is located in the center of Skopelos, just 70 meters from the harbor. 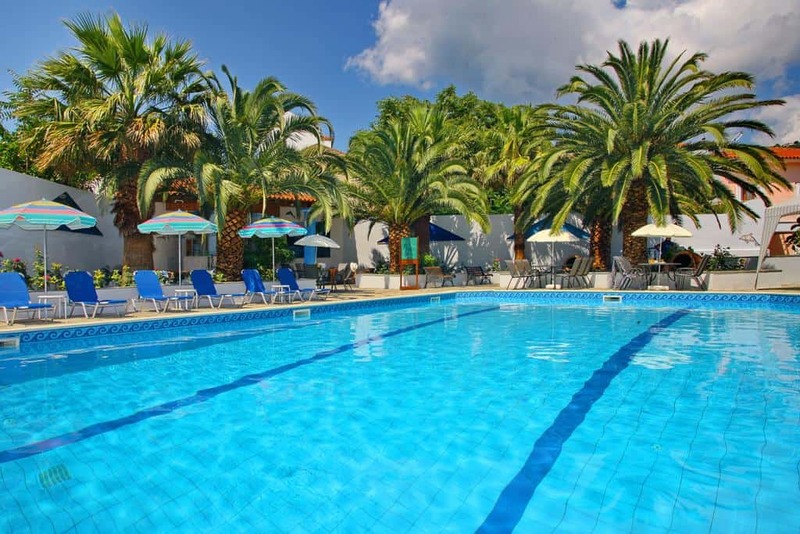 There is a swimming pool and free Wi-Fi is available at all levels. 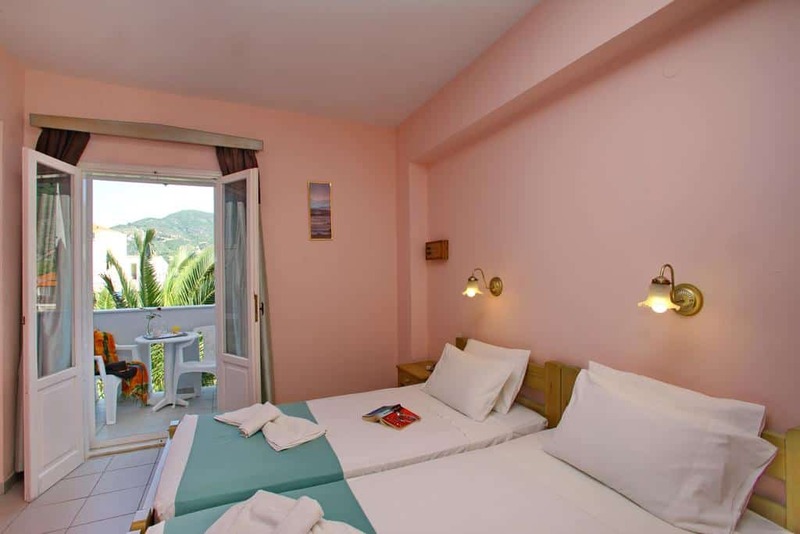 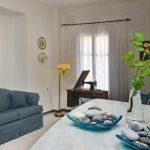 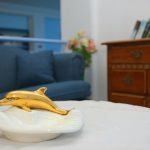 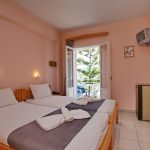 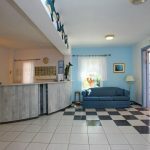 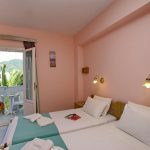 In all rooms come of the Dolphin Hotel, on Skopelos island, there are air conditioning, a TV, and balcony with large windows. 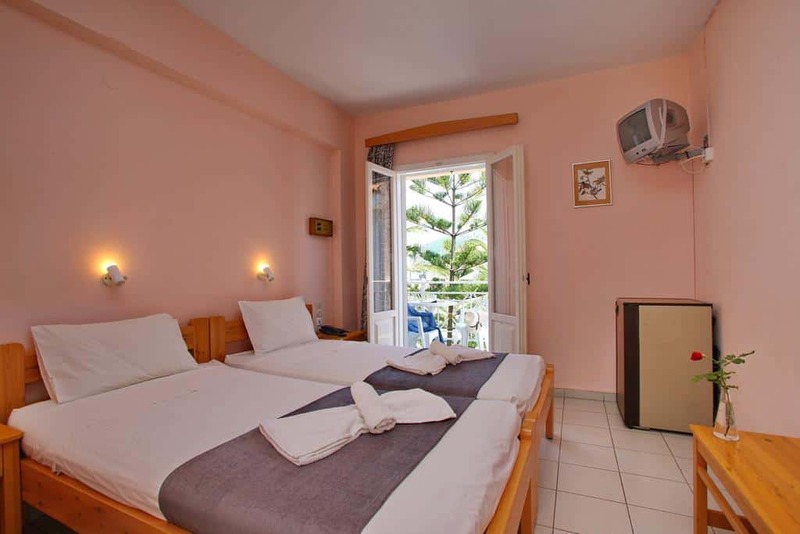 Each room also has a fridge and hairdryer. 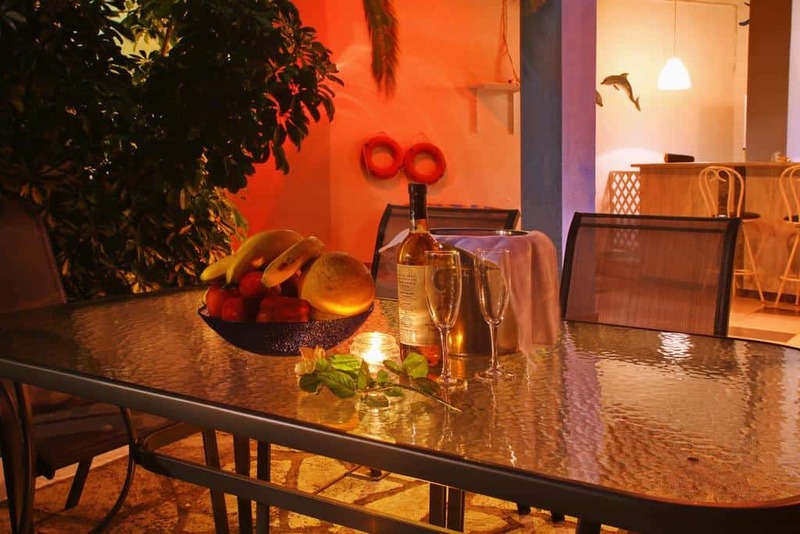 One can relax listening to music in the living room on the terrace next to the pool. 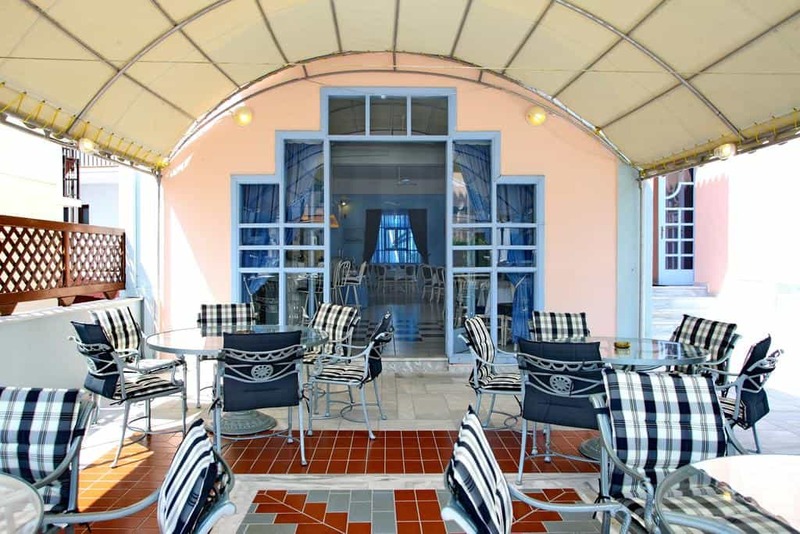 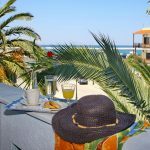 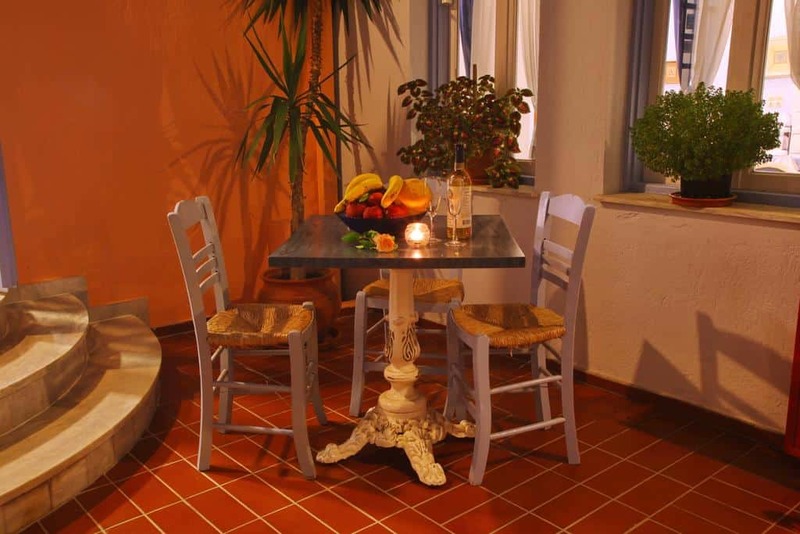 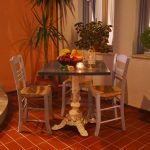 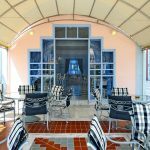 Every day a breakfast buffet is served in the dining room of Hotel Delfini, in Skopelos Town. 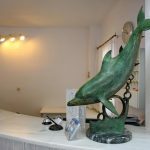 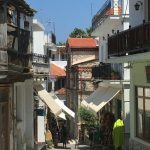 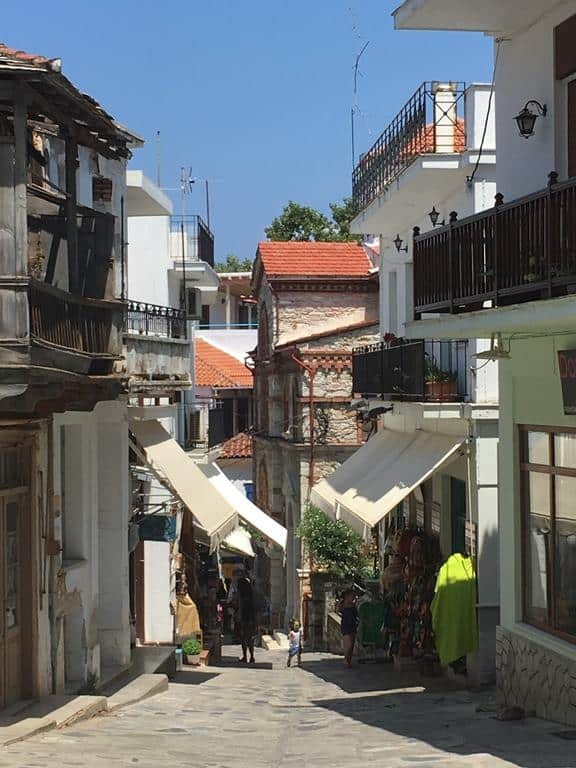 As the Dolphin Hotel is located in the center of Skopelos Town, there is an easy access to Skopelos market. 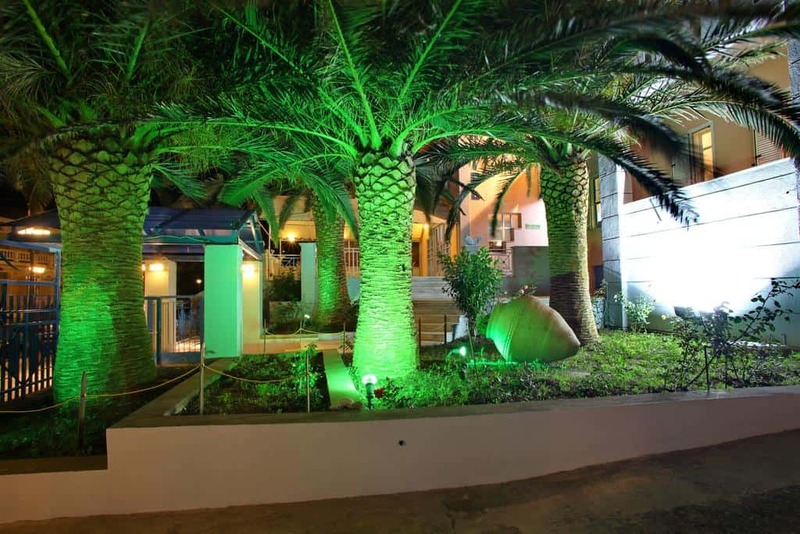 Moreover, you are near to many taverns and restaurants as well as to the bars and clubs. 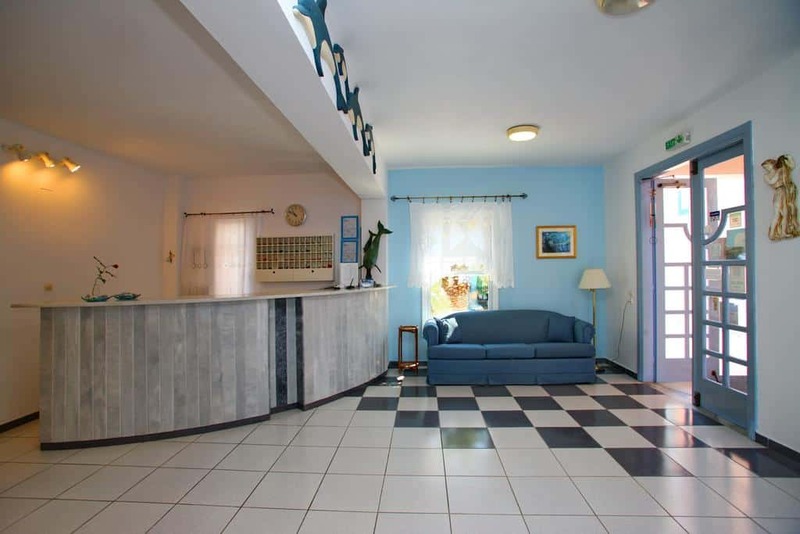 There is also a petrol station close to the hotel, while the health center is near as well. 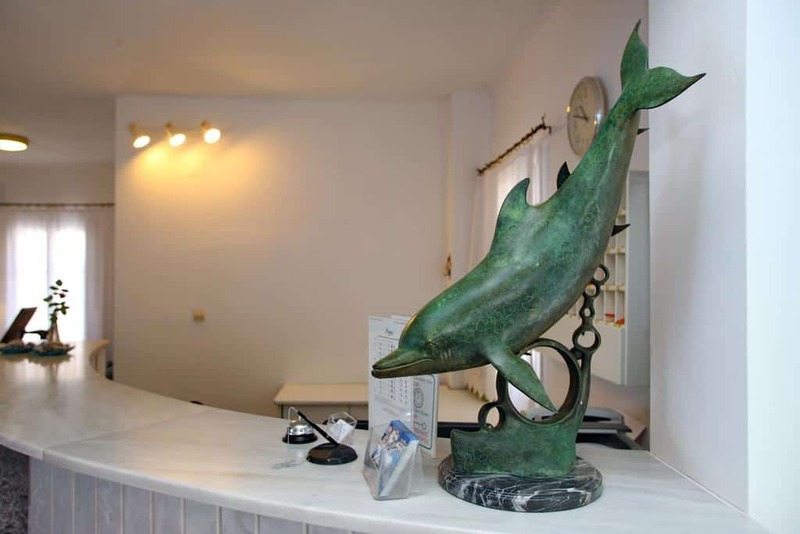 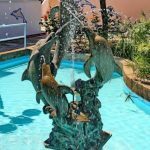 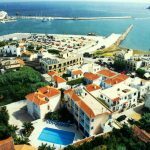 The nearest beach is 120 meters from the Dolphin Hotel while Stafylos, one of the most popular beaches on the island, is just 4 kilometers from Hotel Delfini. 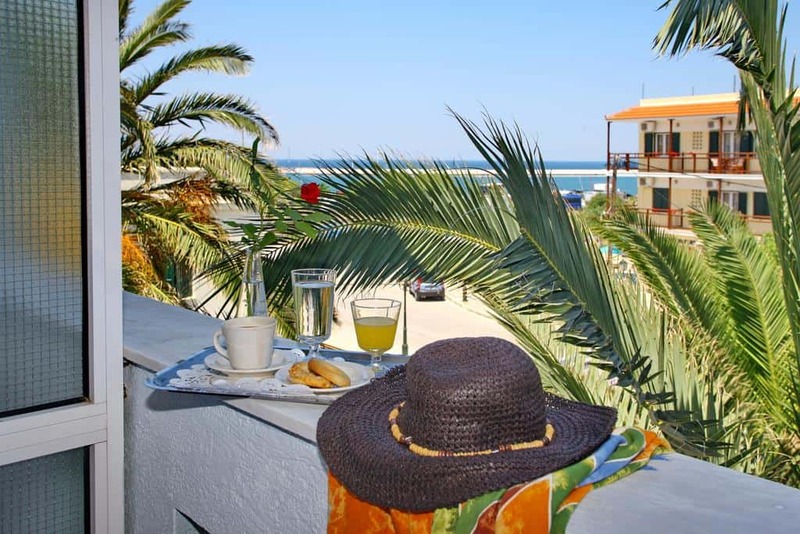 Moreover, Agnontas Beach is about 8 kilometers away from the hotel. 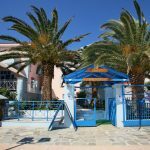 On Agnontas beach there are many taverns and restaurants, where someone can enjoy his meal. 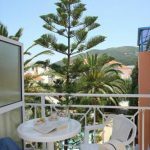 Other popular beaches of Skopelos island are Panormos, Milia and Kastani. 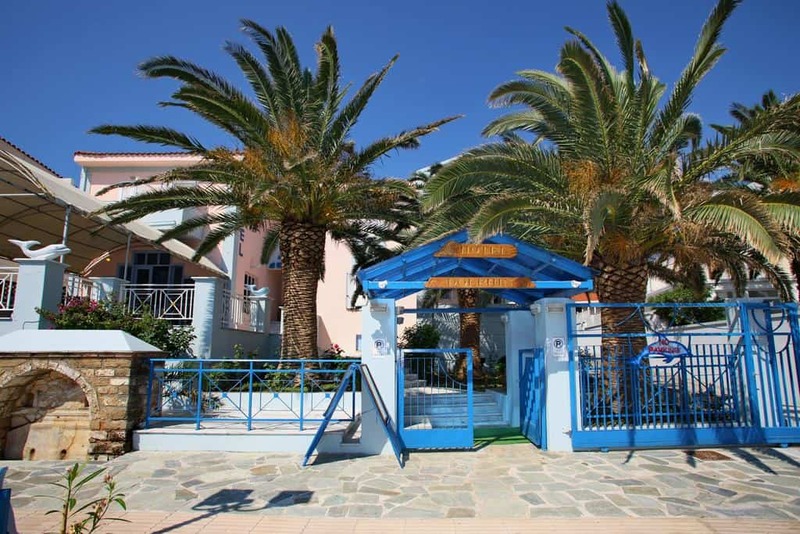 Kastani beach became famous due to the Hollywood movie Mamma Mia since many scenes were filmed there.